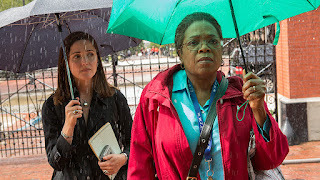 Home » Expired Contests » Enter to win The Immortal Life of Henrietta Lacks on Bluray! Enter to win The Immortal Life of Henrietta Lacks on Bluray! Mind on Movies is very excited to announce that we are working with HBO Home Entertainment on the upcoming Bluray release of The Immortal Life of Henrietta Lacks. An African-American woman becomes the unwitting pioneer for multiple medical developments, such as the Polio vaccine, when her cells are harvested to create the first immortal human cell line. Her story, previously lost in history, is brought to life in HBO® Films’ The Immortal Life of Henrietta Lacks. 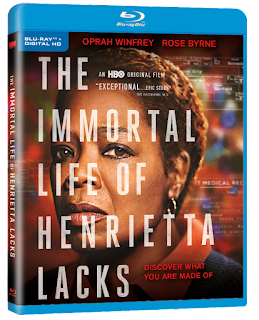 Led by Oscar® nominee and TV icon Oprah Winfrey and Emmy® nominee Rose Byrne, the “Intriguing and thought provoking” (The New York Times) HBO® Film, The Immortal Life of Henrietta Lacks, is available to own on Blu-RayTM and DVD September 5, 2017. ​​In this adaptation of Rebecca Skloot’s critically acclaimed, bestselling nonfiction book of the same name, The Immortal Life of Henrietta Lacks is told through the eyes of Henrietta Lacks’ daughter, Deborah Lacks (Winfrey). The film chronicles her search, along with journalist Rebecca Skloot (Byrne), to learn about the mother she never knew and understand how the unauthorized harvesting of Lacks’ cancerous cells in 1951 led to unprecedented medical breakthroughs, changing countless lives and the face of medicine forever. With a supporting cast that includes Renée Elise Goldsberry, Reg E. Cathey, Courtney B. Vance, Ruben Santiago-Hudson, Leslie Uggams, Reed Birney, Rocky Carroll and John Douglas Thompson, The Immortal Life of Henrietta Lacks is a story of medical arrogance and triumph, race, poverty, and deep friendship between the unlikeliest of people. The A-list, ensemble cast includes Tony Award-winner Renée Elise Goldsberry, Reg E. Cathey from HBO's The Wire and Oz, and Emmy® winner Courtney B. Vance. The Immortal Life of Henrietta Lacks is directed by George C. Wolfe, and executive produced by Oprah Winfrey and Alan Ball, the creator, writer, and executive producer of the HBO hit series, True Blood and Six Feet Under. Only one entry per mailing address per giveaway. The prize will be sent via FedEx or UPS. No P.O. Boxes please. This contest is from Mind on Movies working with HBO Home Entertainment. The entries will be checked.